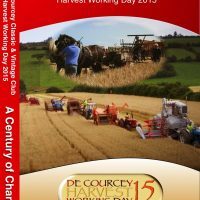 The third annual De Courcey Harvest Working Day took place on Monday 5th of August 2013 on the land of the O’Regan Family at Coolyrahilly, Barrells Cross, Kinsale, Co. Cork. 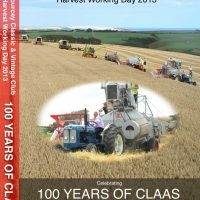 This years event celebrated 100 years of the Claas machinery company, with 15 Claas combines from the oldest to the newest all cutting winter barley. CEO of Claas UK & Ireland, Trevor Tyrrell was on hand to officially open the event. 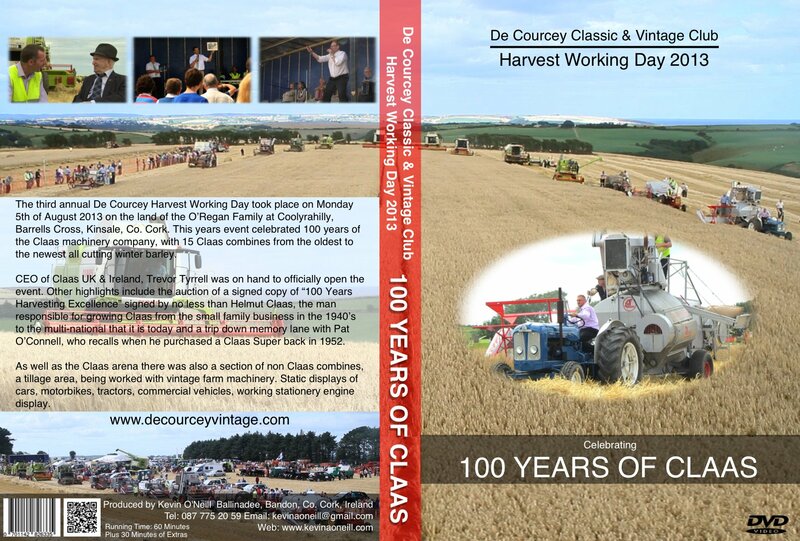 Other highlights include the auction of a signed copy of “100 years of harvesting excellence” signed by no less than Helmut Claas, the man responsible for growing Claas from the small family business in the 1940’s to the multi-national that it is today and a trip down memory lane with Pat O’Connell, who recalls when he purchased a Claas Super back in 1952. As well as the Claas arena there was also a section of non Claas combines, A tillage area, being worked with vintage farm machinery. 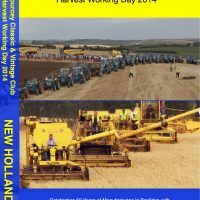 Static displays of cars, motorbikes, tractors, commercial vehicles, working stationery engine display.